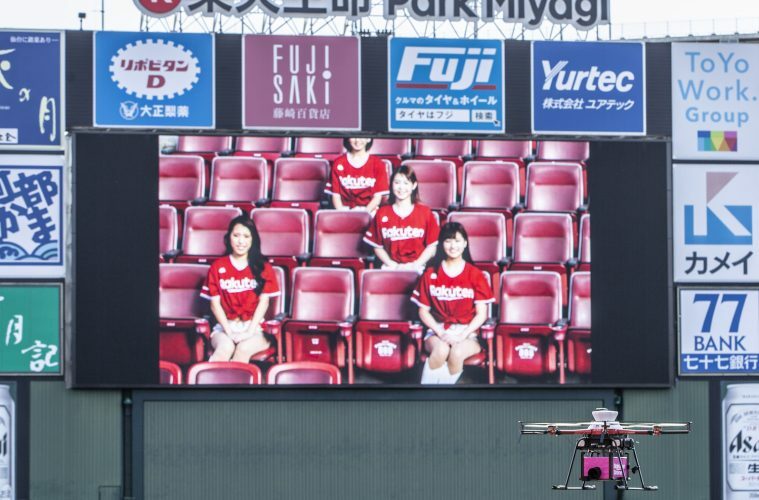 Photo: Video captured by a drone was transmitted over a 5G network and used to identify individuals in the stadium. Rakuten Seimei Park Miyagi in Sendai, Japan is the home stadium of Nippon Professional Baseball’s Tohoku Rakuten Golden Eagles. The team has made headlines with its unique and innovative approaches to player development and the fan experience. But in late 2018, the stadium played host to a different kind of game-changer — 5G technology. 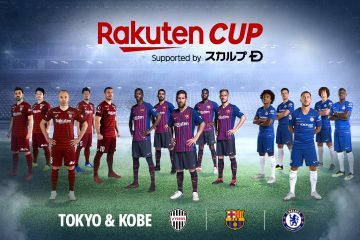 On November 15, 2018, Rakuten Mobile Network visited the stadium to hold a trial of a “smart stadium” concept aimed at demonstrating the extensive applications of 5G network technologies. 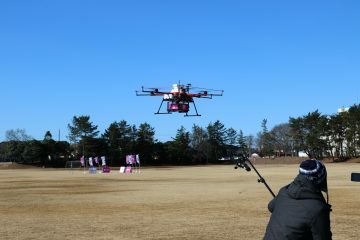 The over-the-air (OTA) 5G trial, which was conducted in collaboration with Nokia and Intel Corporation, included remote unmanned robot delivery, drone-based identity verification and live-streaming of 8K 360-degree VR video. The trial employed Nokia’s AirScale base station and the Intel® 5G Mobile Trial Platform. 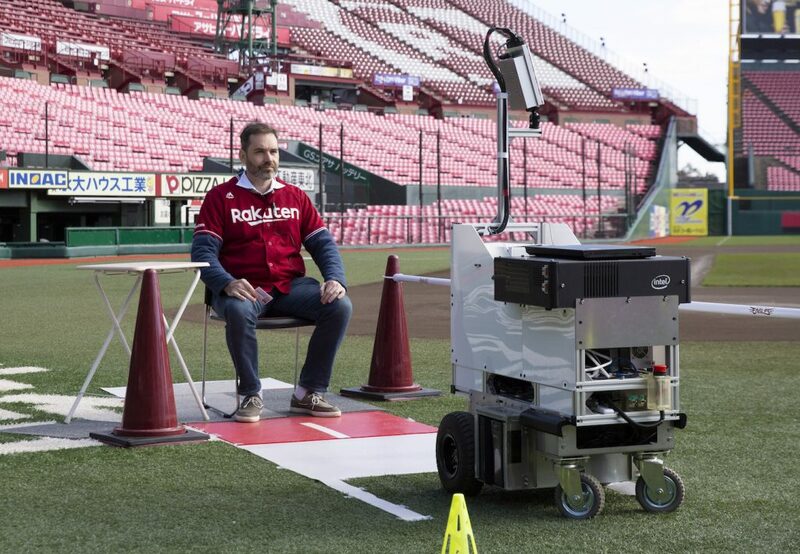 Unmanned delivery robot brings a package to a staff member on the field. 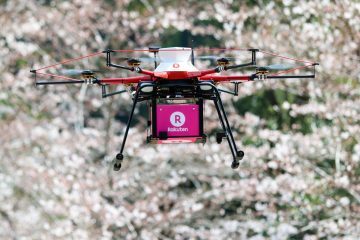 The day represented a convergence of several Rakuten innovative technologies and services, including Rakuten Drone, which leads the company’s drone-based logistics services. At the same time, the spotlight was on the 5G technology. 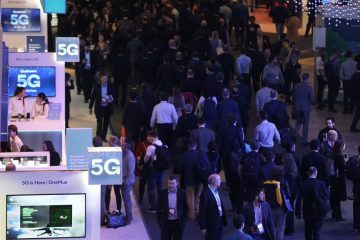 Expectations are high for the potential of 5G to transform virtually all sectors of society and industry, from healthcare and education to energy services and agriculture. 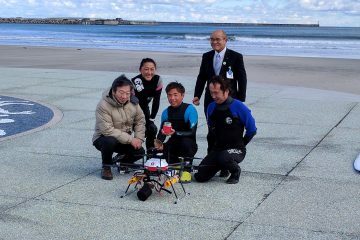 4K video from the unmanned delivery robot, transmitted over a 5G network, allowing visible verification of the receiver’s ID. 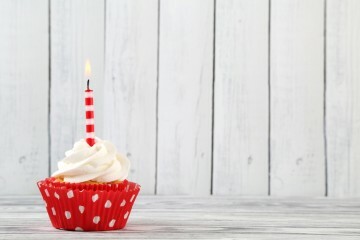 Naturally, speeds over a 5G cellular network are expected to be up to 100 times faster than current 4G networks — which is likely faster than the fastest wired broadband connections. But with 5G, it is not just speed that will improve: Latency will also be dramatically reduced. This means almost no communication delay for users on the network, opening up a new world of possible applications. Take healthcare for example. Without latency, remote surgery becomes a practical option. Entertainment also holds a wealth of possibilities. 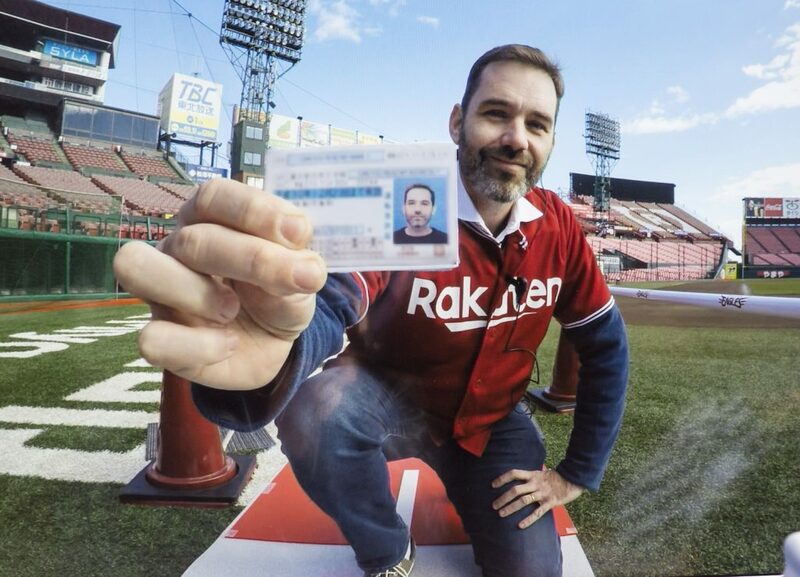 For fans, watching a Rakuten Eagles game in 8K 360 VR video will be almost as good as being at the stadium in person (minus the aroma of hot dogs and popcorn). 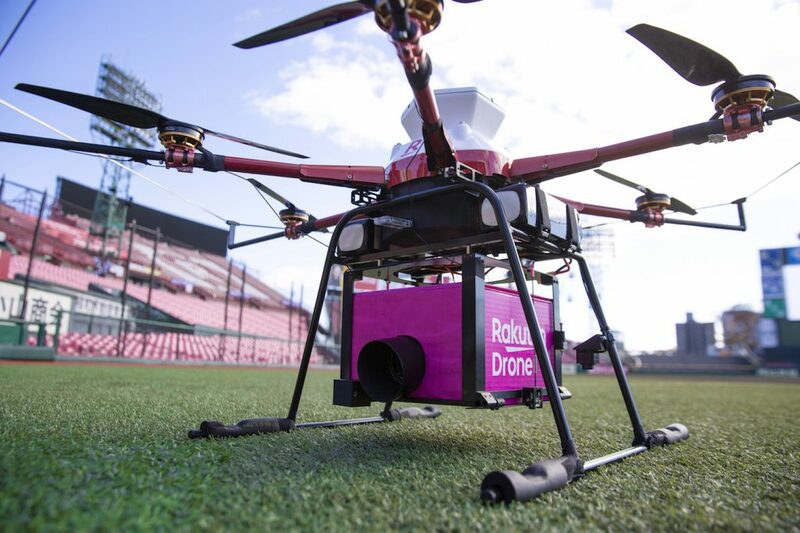 The over-the-air (OTA) 5G trial, conducted in collaboration with Nokia and Intel Corporation, included remote unmanned robot delivery, drone-based identity verification and live-streaming of 8K 360-degree VR video. 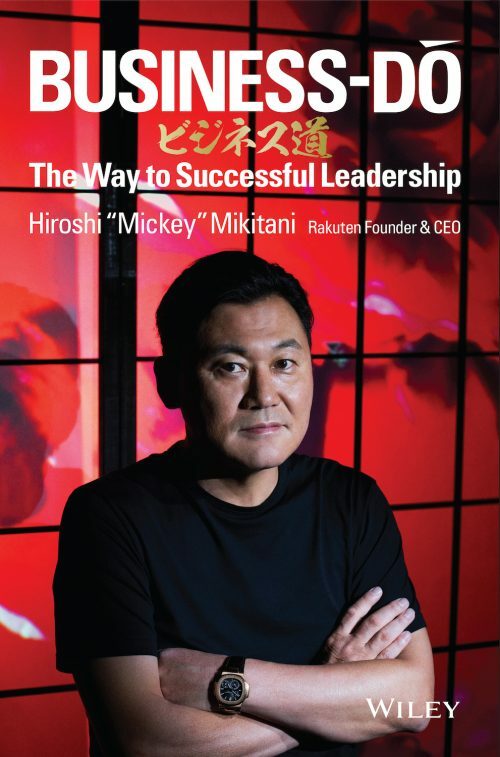 Rakuten first entered the mobile business in 2014 with the launch of its Mobile Virtual Network Operator (MVNO) service, Rakuten Mobile. 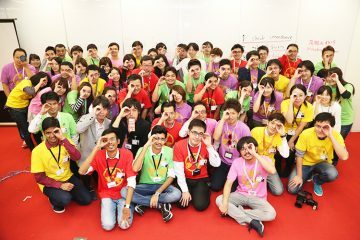 In April 2018, Rakuten became the first company in Japan in over a decade to secure 4G bandwidth approval from Japan’s Ministry of Internal Affairs and Communications, and since then has been forging ahead with the construction of its own innovative, 5G ready, end-to-end cloud-native mobile network. 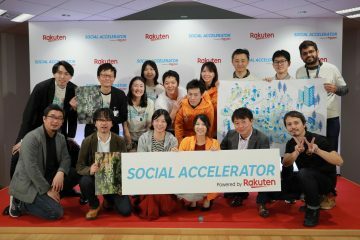 Rakuten plans to apply for 5G bandwidth allocation when applications open this year, with the aim of launching a 5G service in 2020 if its application is approved. 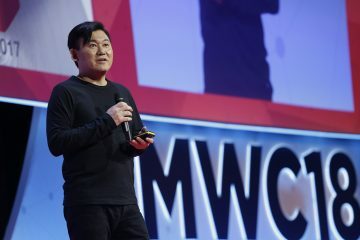 Rakuten will be at MWC in Barcelona from Mon, Feb 25, 2019 – Thu, Feb 28, 2019, where company leaders will share their vision for the future of mobile. For more details, visit here. 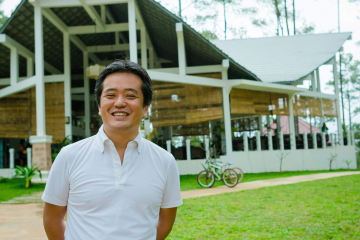 Previous ArticleIs ‘Earth Mall’ the future of sustainable consumption? 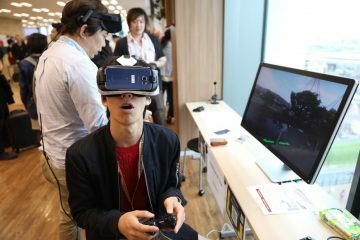 AR, VR, robotics, AI and drones: It’s time for the Rakuten Technology Conference 2016!